Last year, the School Board approved new modular classrooms at Lafayette Elementary School to ease the increasing enrollment. The structure is similar to the one installed at Periwinkle last summer. The classrooms will be ready for students in September. This work was approved prior to the passage of the May 2017 construction bond, which will add classrooms at schools around the district. The project is funded out of district operating funds. The building will have six classrooms, restrooms and a common area. 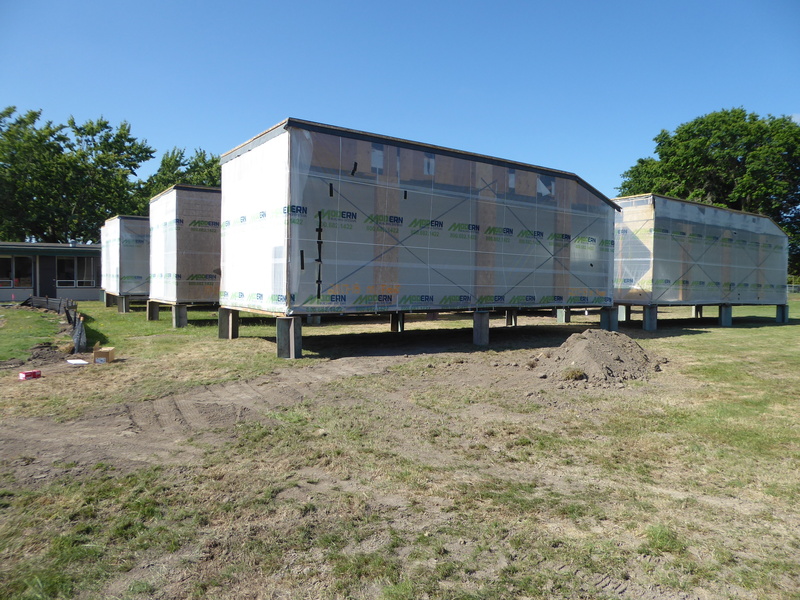 Eight of the 16 building sections have arrived at the campus and the remaining eight will come in groups of four by Monday. On Tuesday, a crane will begin placing the classroom sections. 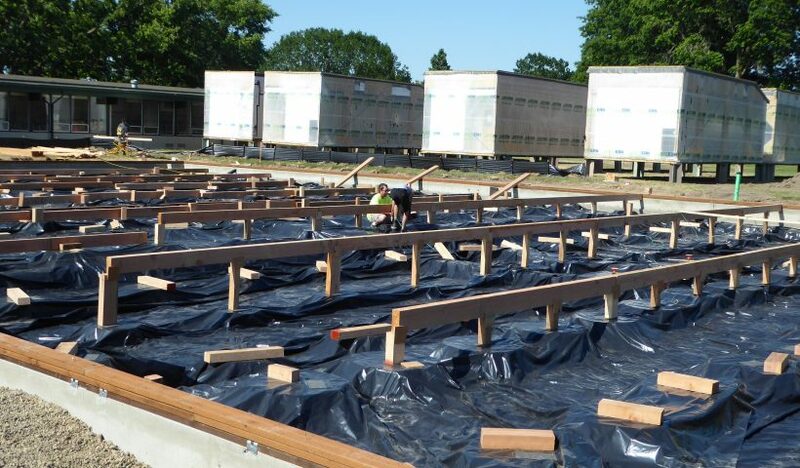 Workers are placing the beams that will be part of the foundation. 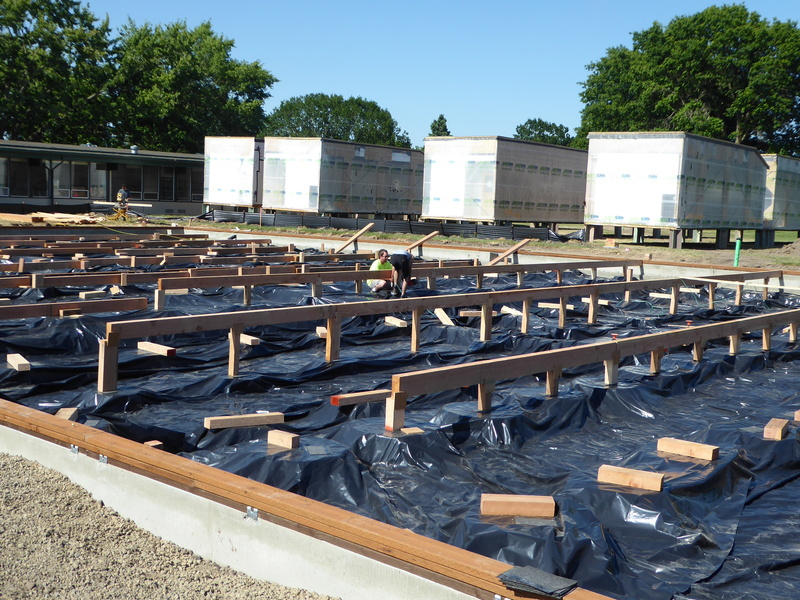 Each vertical piece rests on a poured concrete pad.